Templating for Newsletters, responsive design are technologies used daily in our projects. Now it is already 10 years for me to work as Freelancer pixelhorse in graphics and webdesign! Many frequent and new customers made my job interesting over all the time, asking for new ideas to find. The basic thing, my logo, lasted all the time meanwhile the homepage has seen several layouts and CMS systems: Contenido, Papoo und last but not least Joomla. 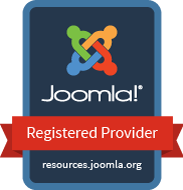 New with Joomla 3x and another new, responsive simple template. My private projects are often used to test before my customers get it. We offer as pixelhorse professional services around graphics and webdesign since 2006. We are a network around the founder Isabel Tenbrink (Diplom Designer FH 1996) to serve all your requirements. In Webdesign our focus is individual design and programming based on standards and openSource products. We realise pure HTML/CSS pages as well as content management based sites with Joomla, Drupal, CmSimple and others. We also offer shopdesigns for XTCommerce, Gambio, Magento and Virtuemart. We basically work in // webdesign // with individual design - and afterwards templates for CMS systems and webshops or blogs, opensource based, in HTML oder flash. In // graphicdesign // all around layout of logos, business cards, flyers, catalogues and magazines.